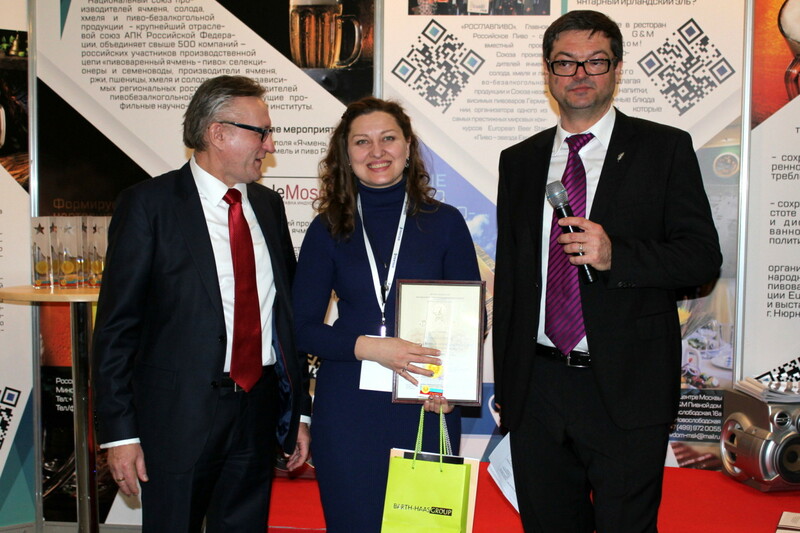 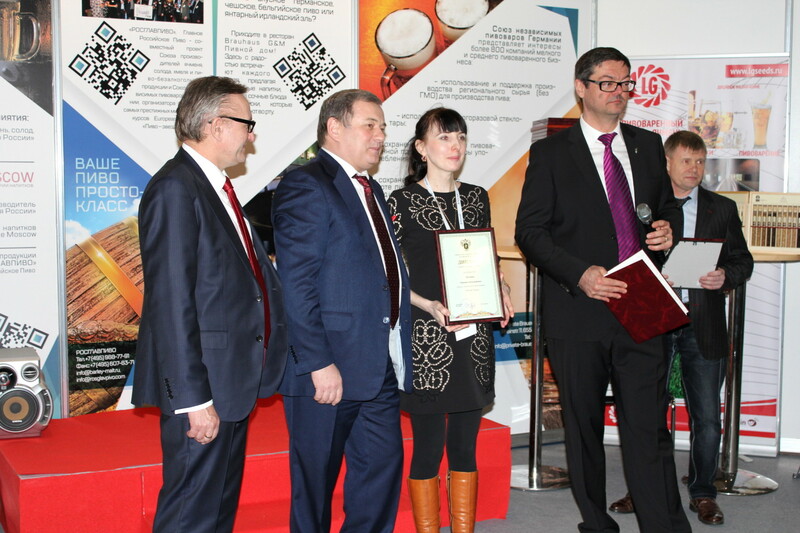 The Second International Beverage Trade Fair BevialeMoscow 2017 took place in the International Exhibition Centre from February 28th to March 2nd 2017. 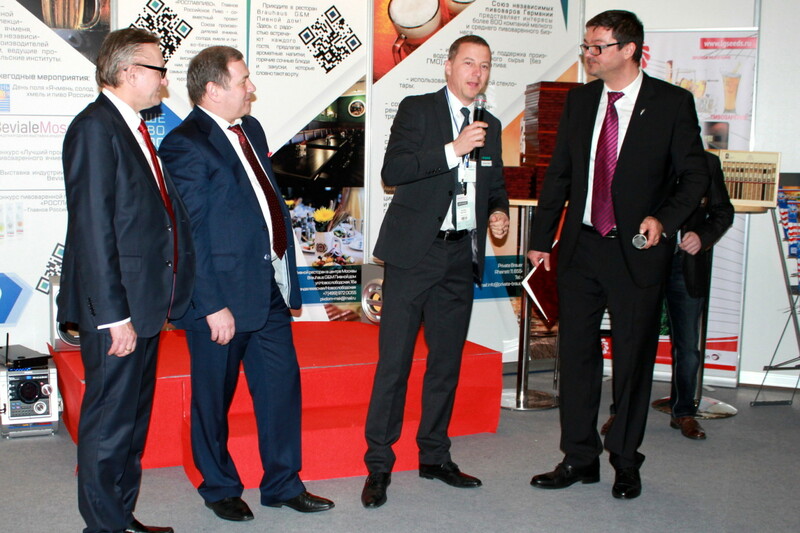 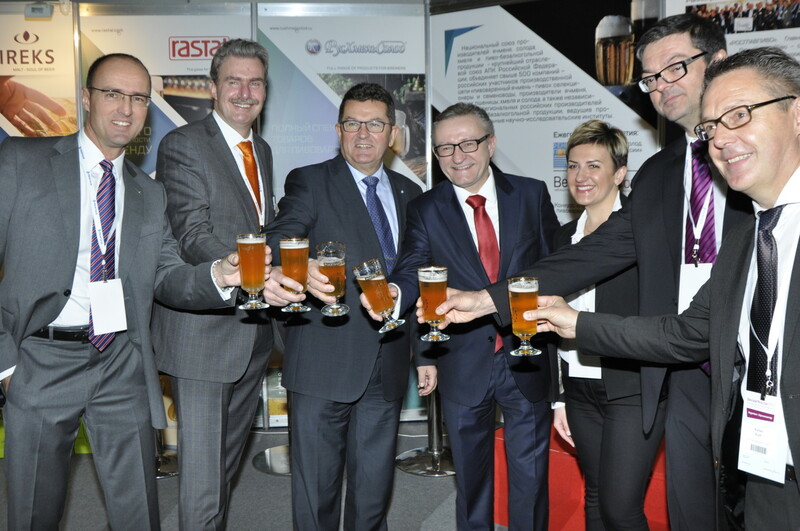 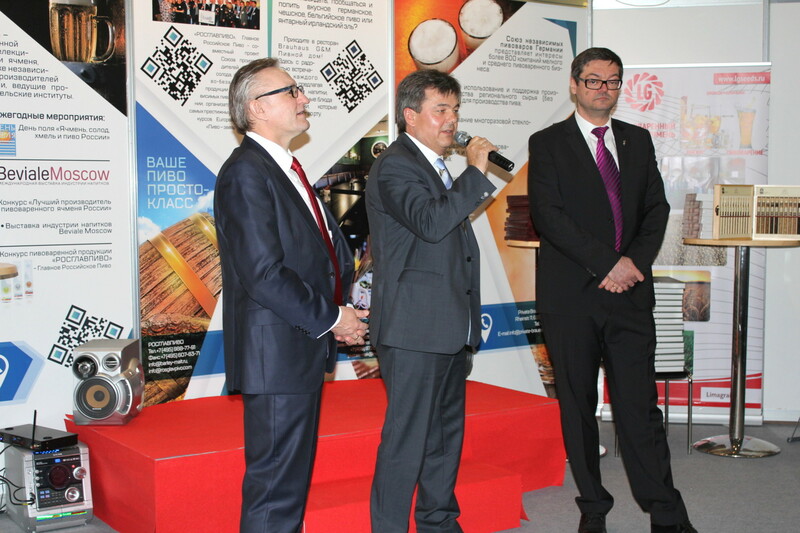 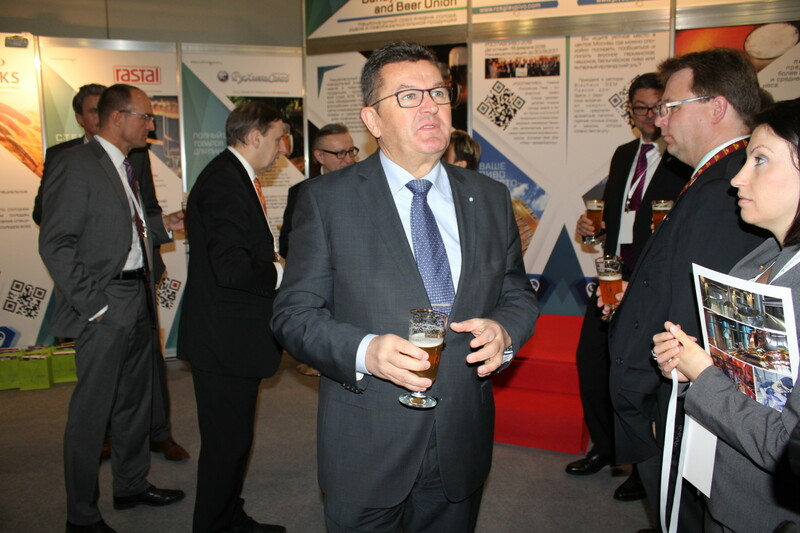 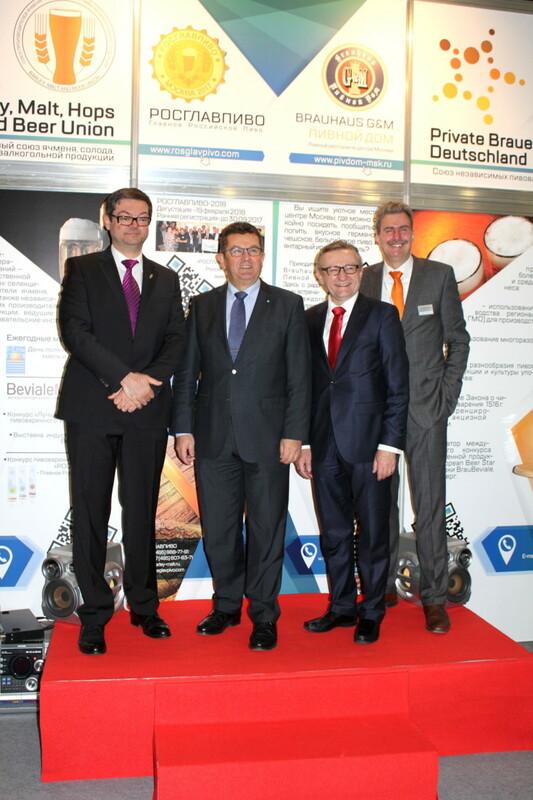 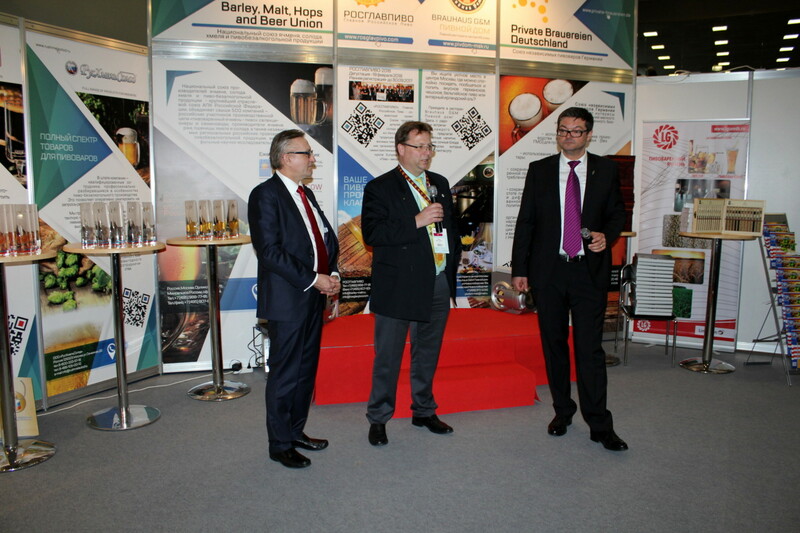 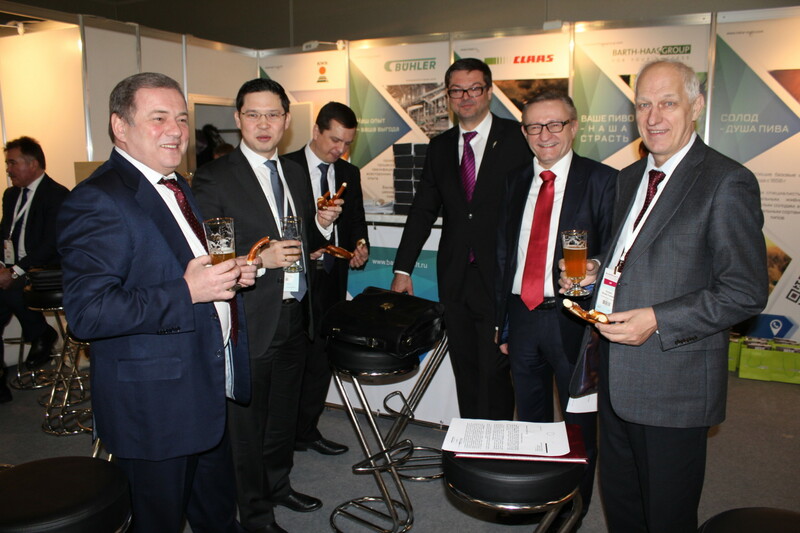 Ceremonial opening of the Trade Fair was led by the Chairman of the International Expert Jury of the Russian brewing competition “ROSGLAVPIVO” – the Best Russian Beer Evgeny Gromyko, the State Secretary in the Bavarian Ministry of Economic Affairs and Media, Energy and Technology Franz Josef Pschierer, the CEO of the State Exhibition Operator NuernbergMesse Peter Ottmann, the President of Barley, Malt, Hops and Beer Union Alexander Mordovin, the Head of Private Brauereien Deutschland Roland Demleitner, the President of Viticulturists and Winemakers’ Union Leonid Popovich, the Director of the Dairy Union Ludmila Manitskaya. 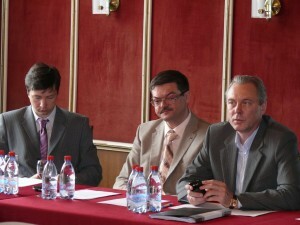 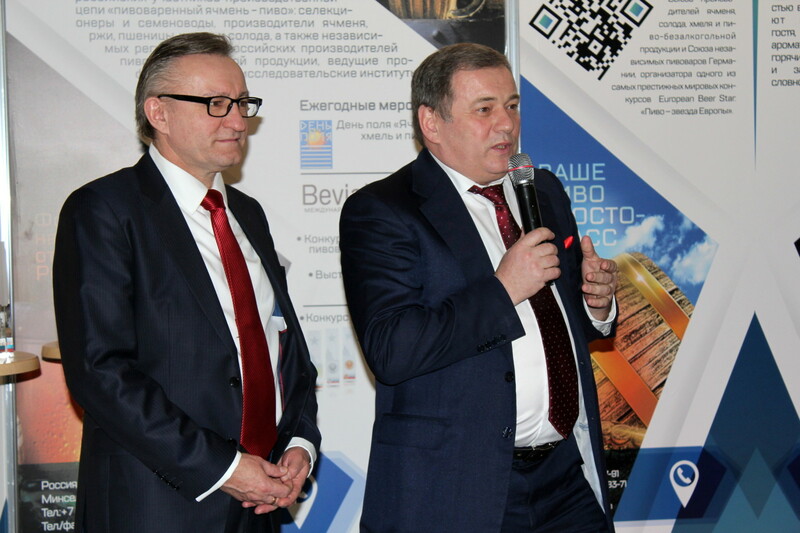 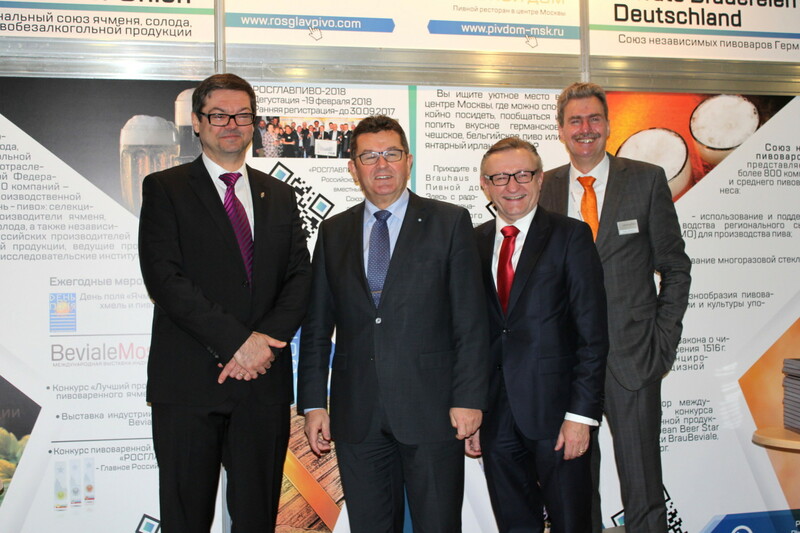 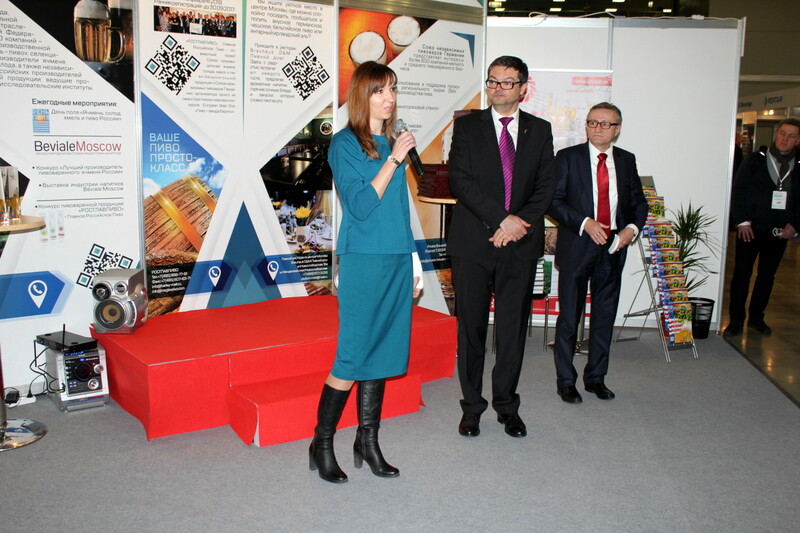 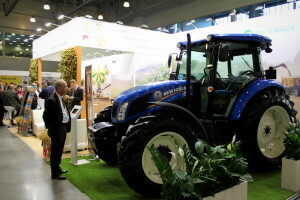 Over 4.000 experts took part in the exhibition during three days. 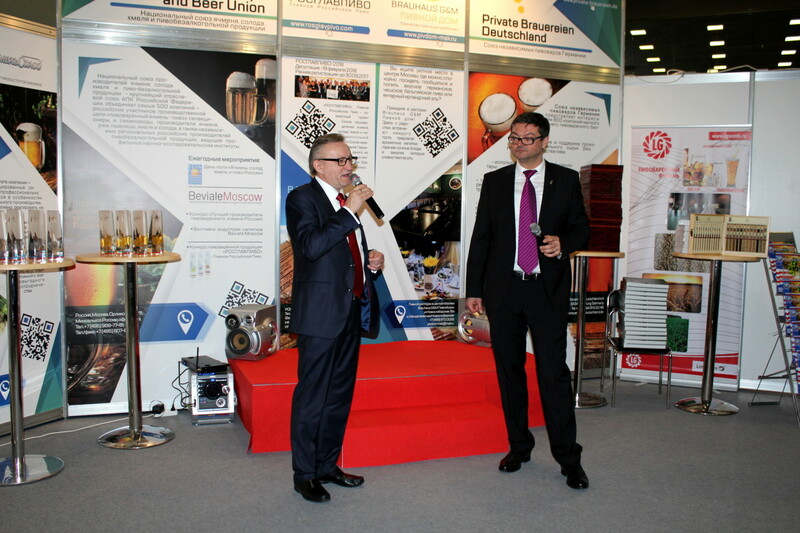 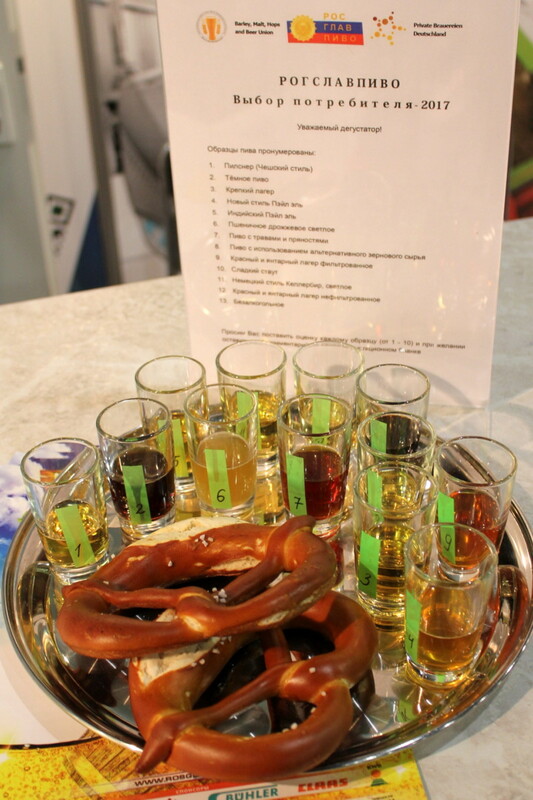 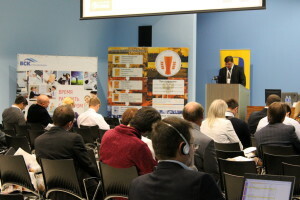 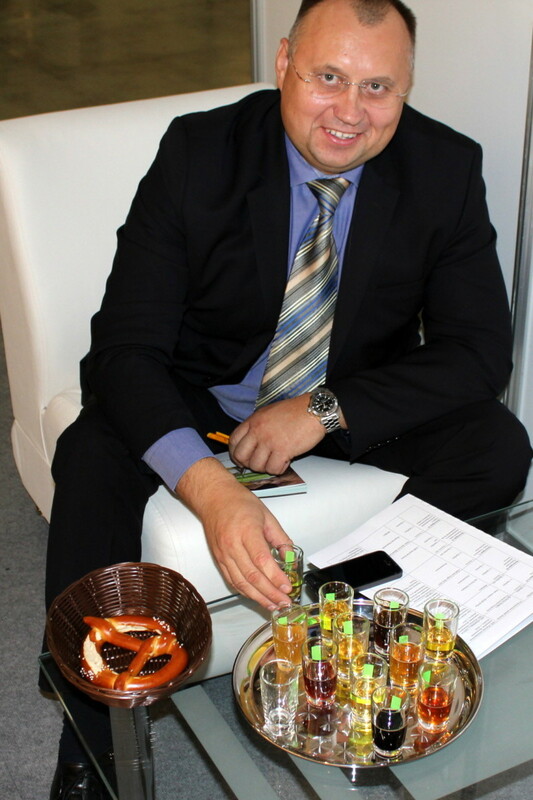 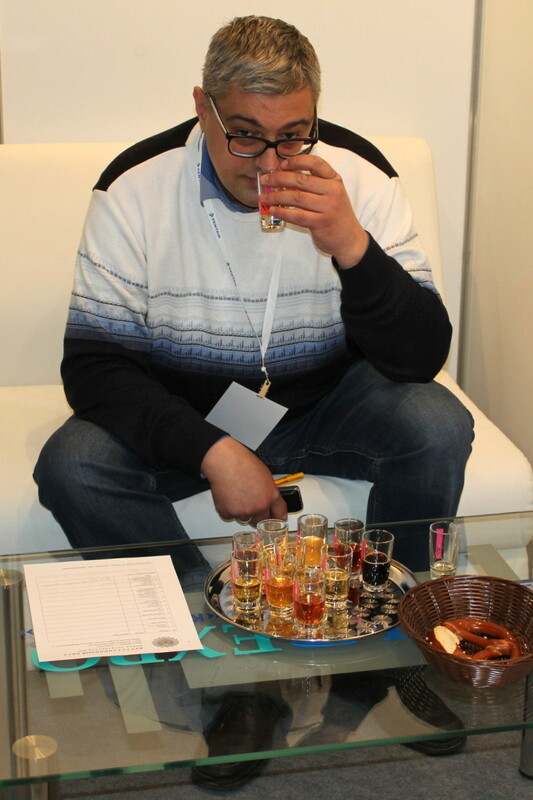 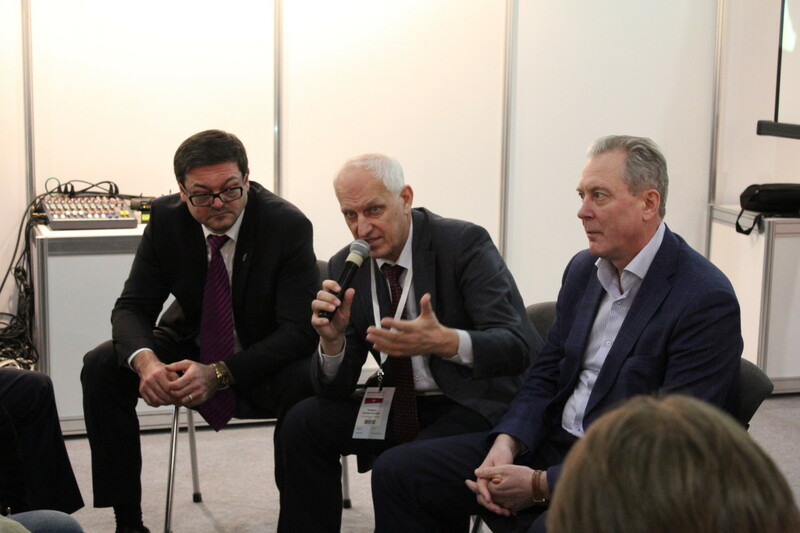 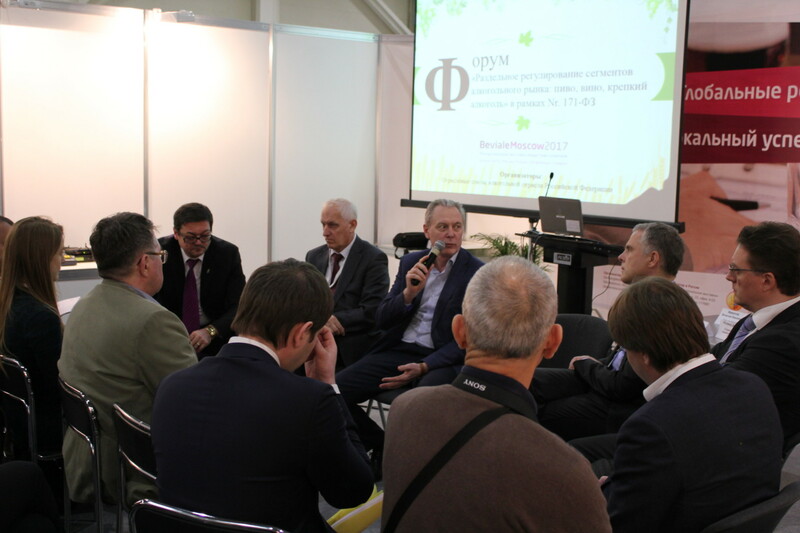 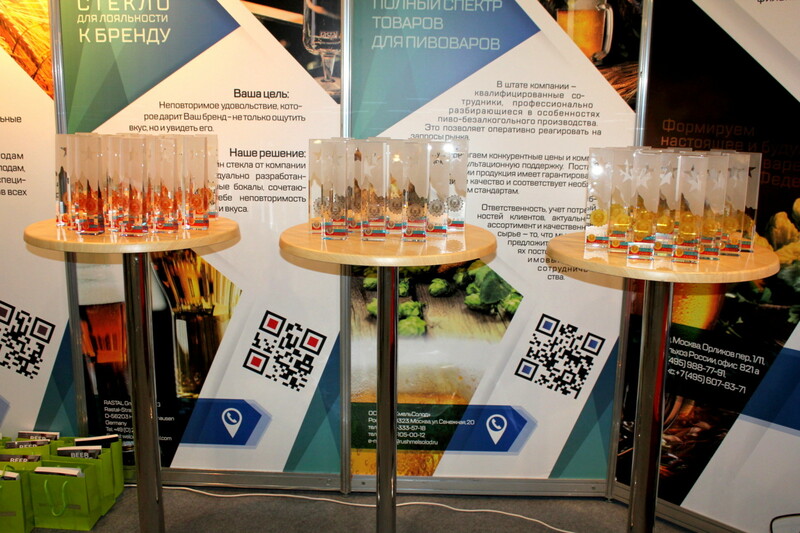 The format of the exhibition is professional not consumer-oriented and participation of the representatives of the beverage industry speaks for a professional level of the exhibition in comparison with other brewing exhibitions hold in Russia. 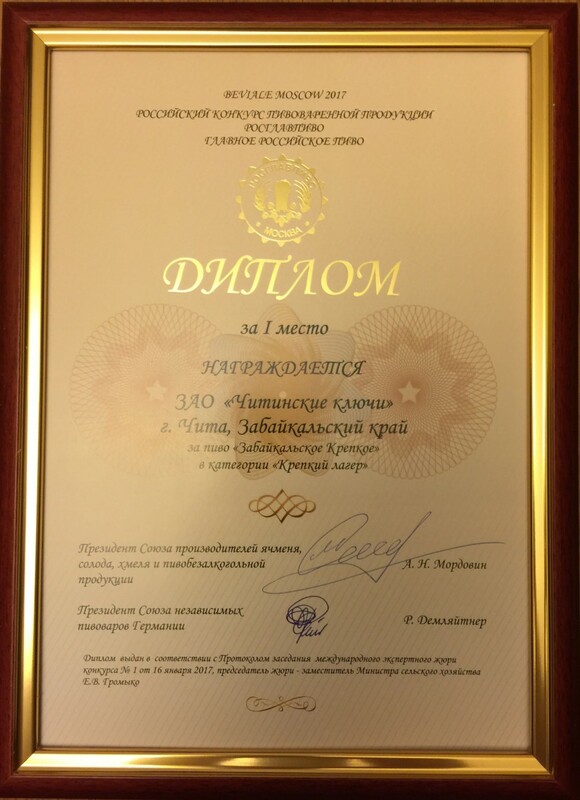 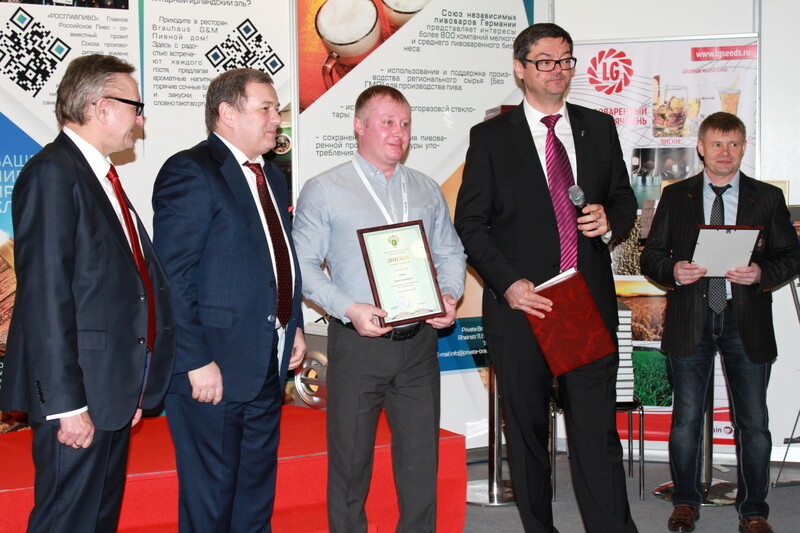 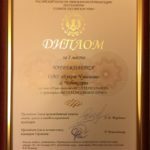 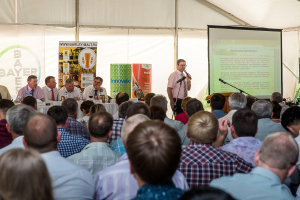 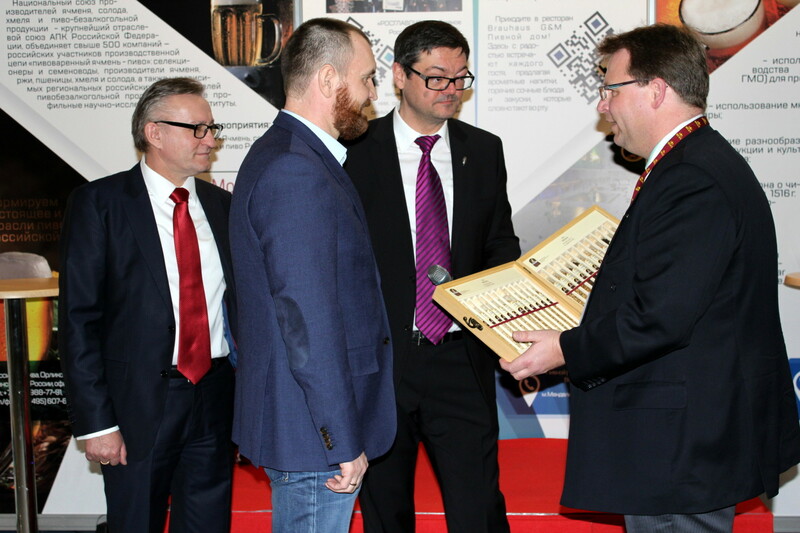 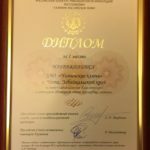 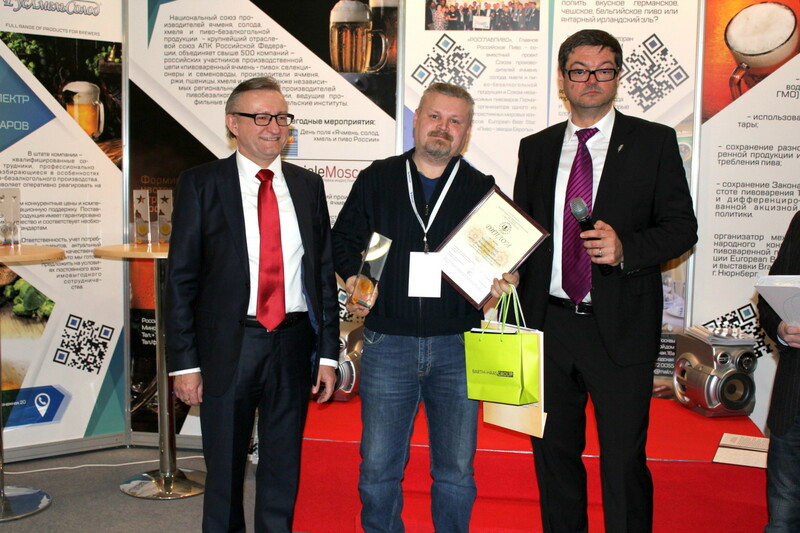 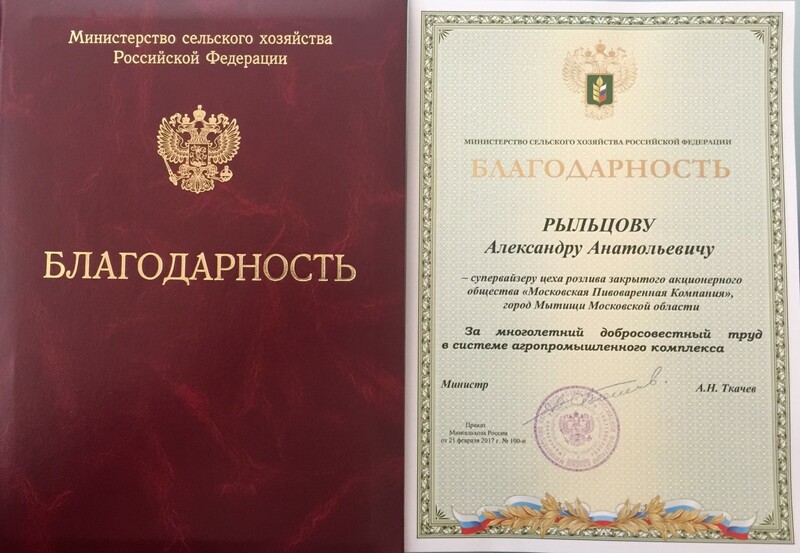 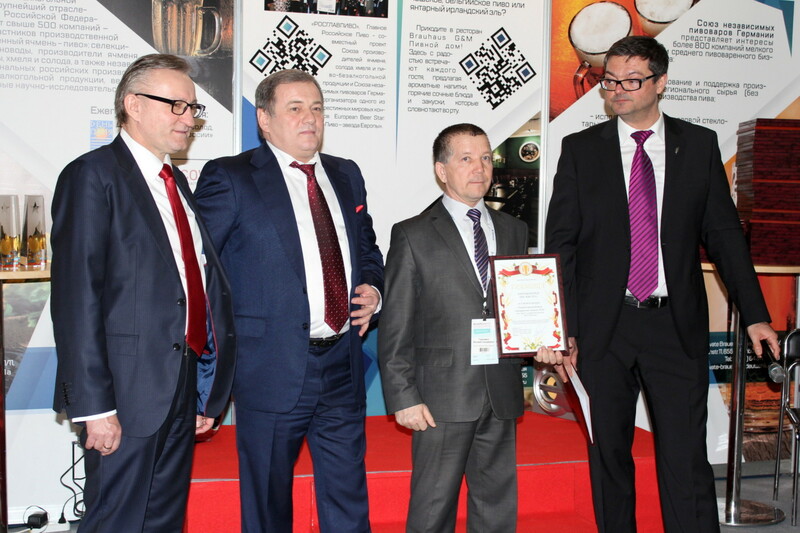 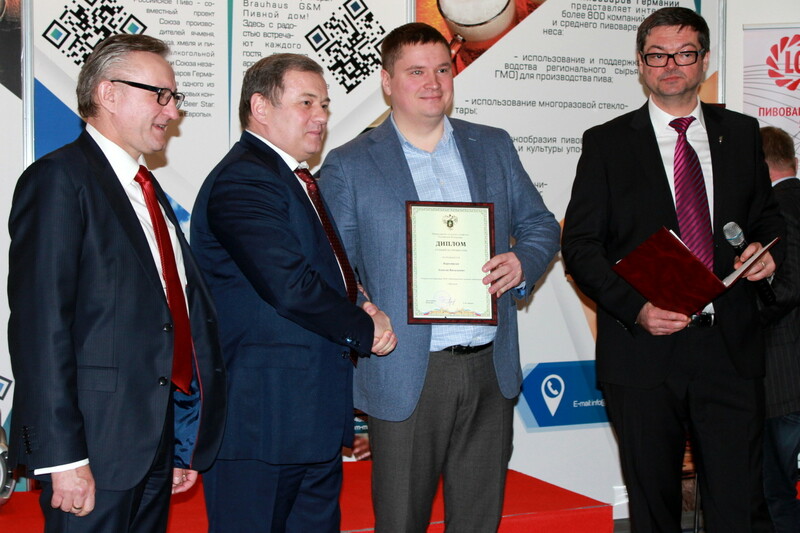 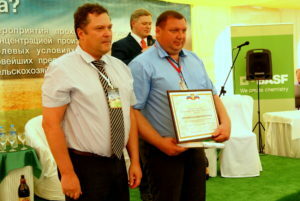 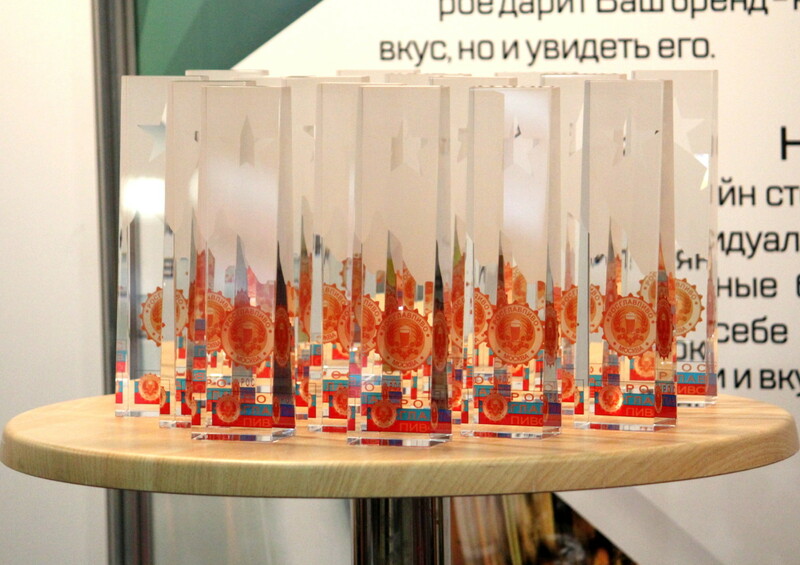 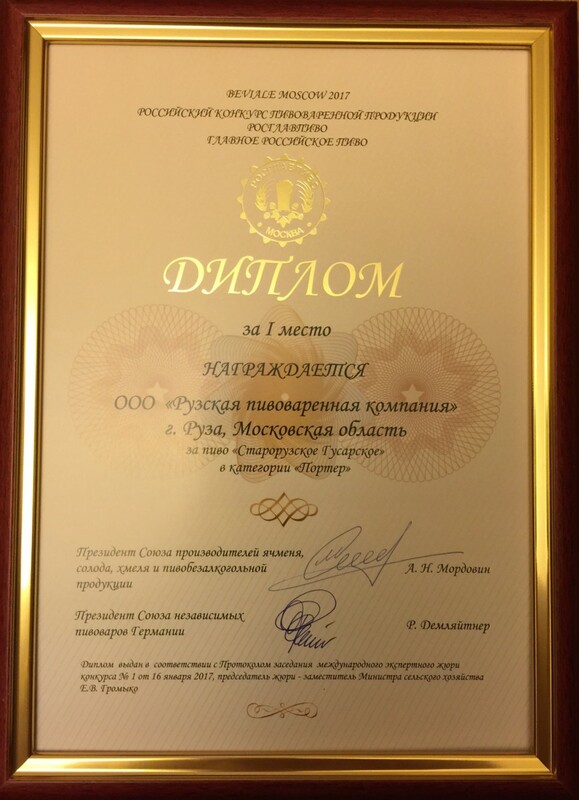 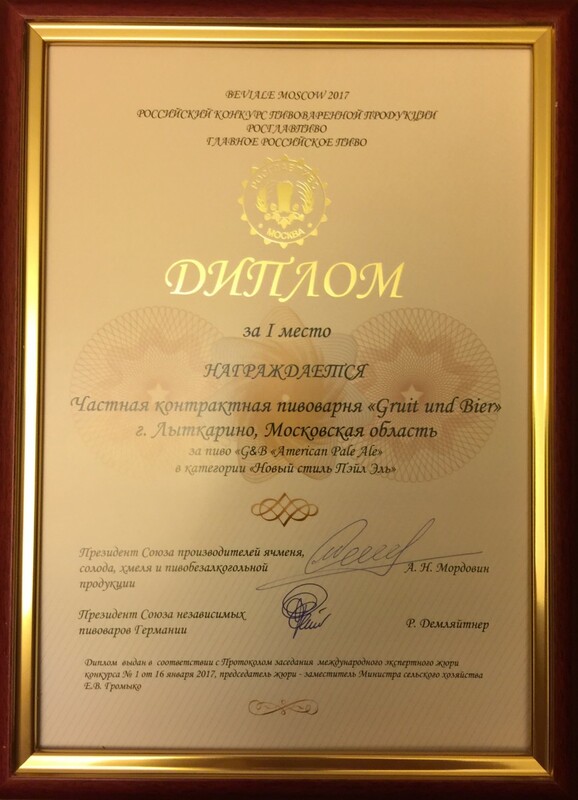 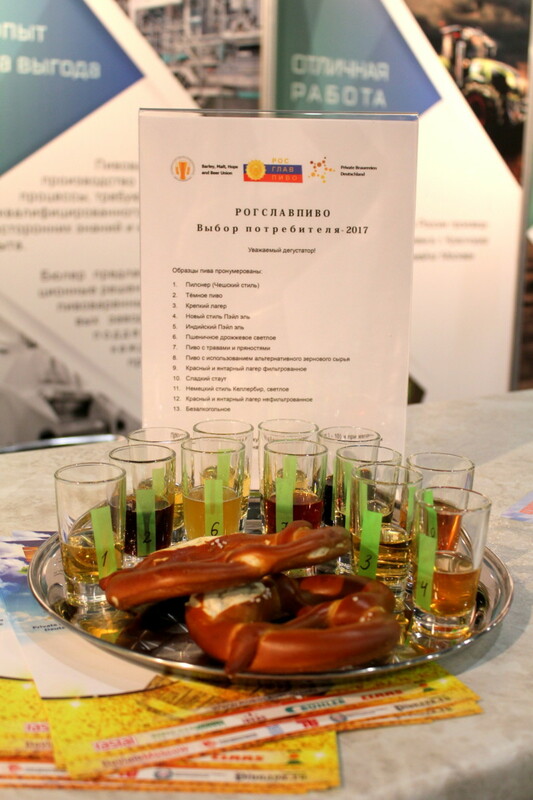 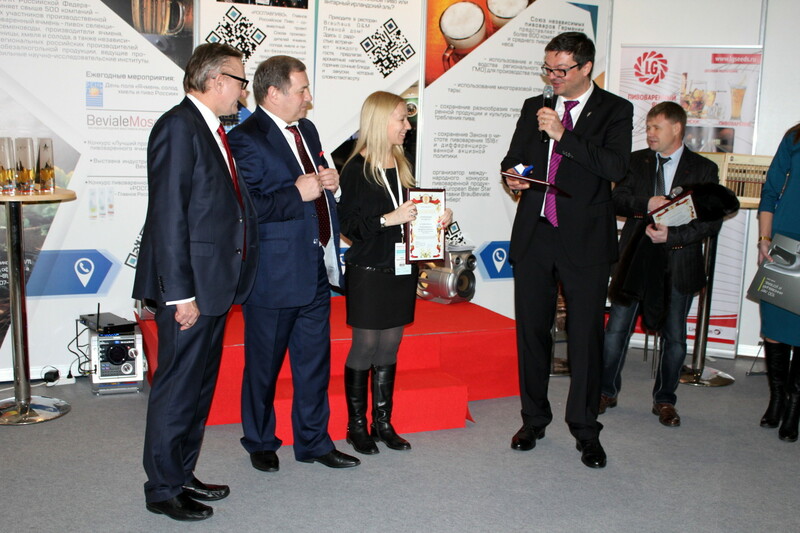 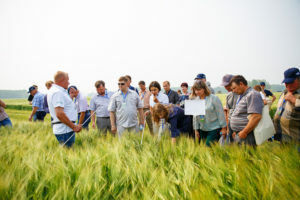 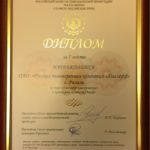 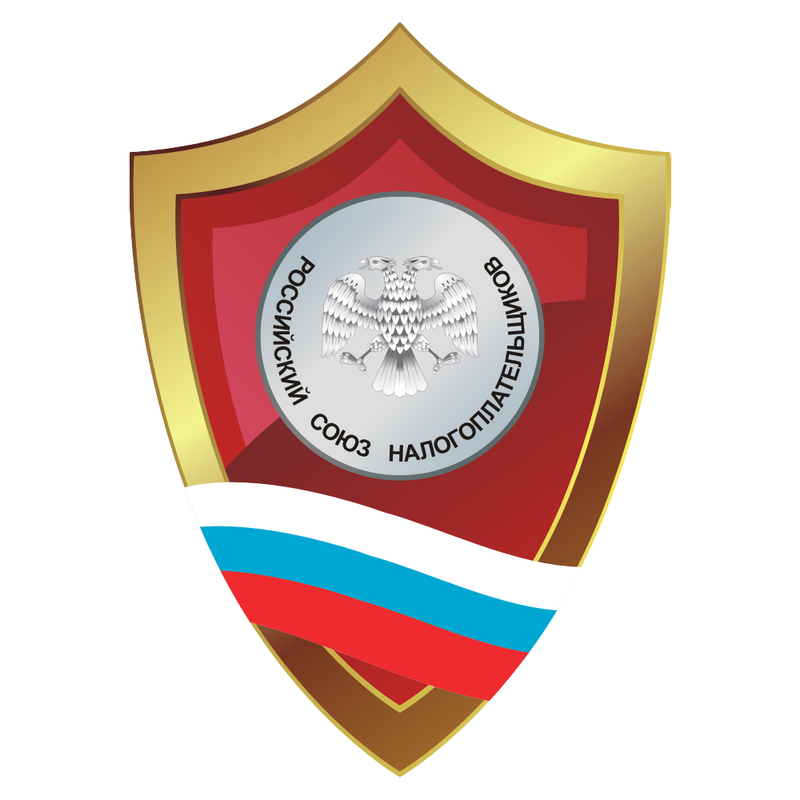 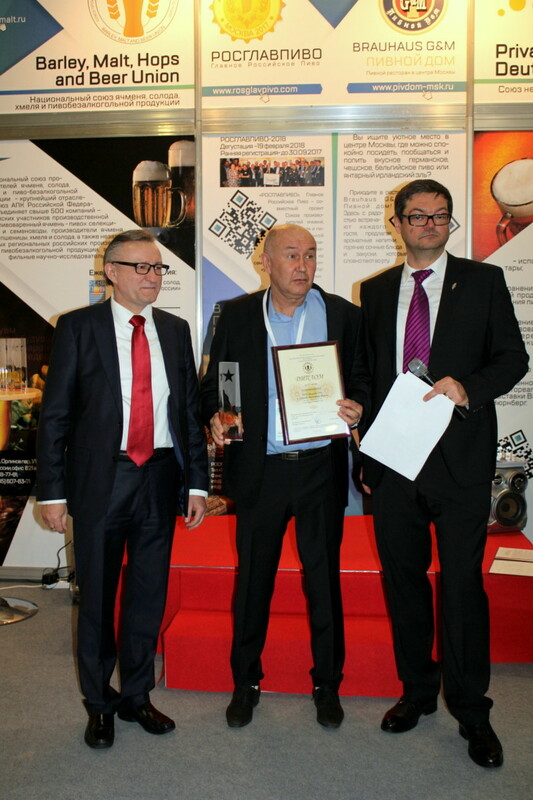 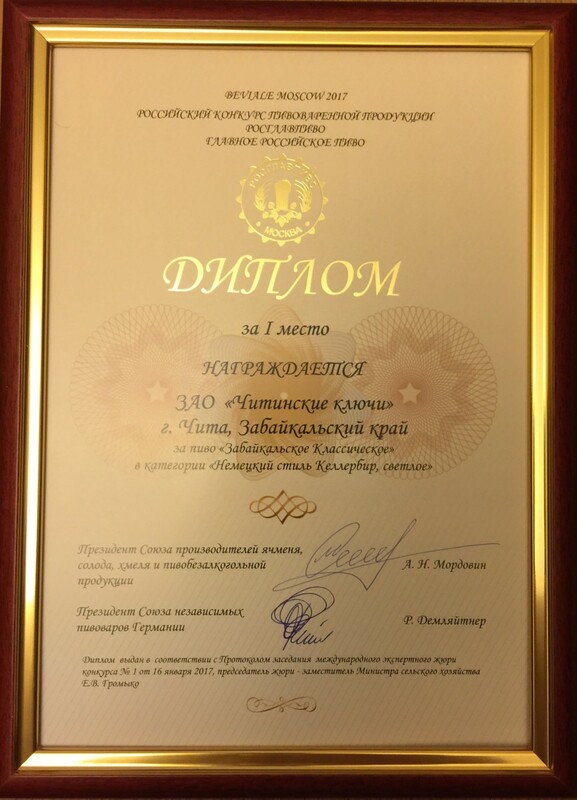 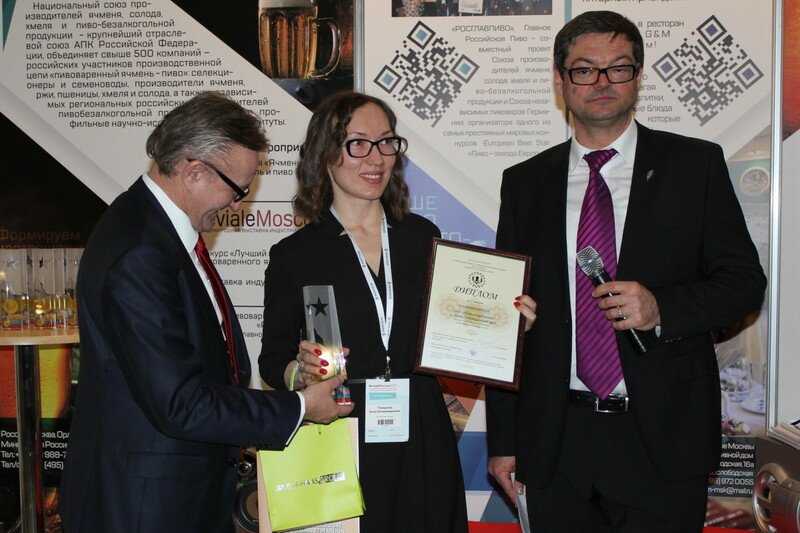 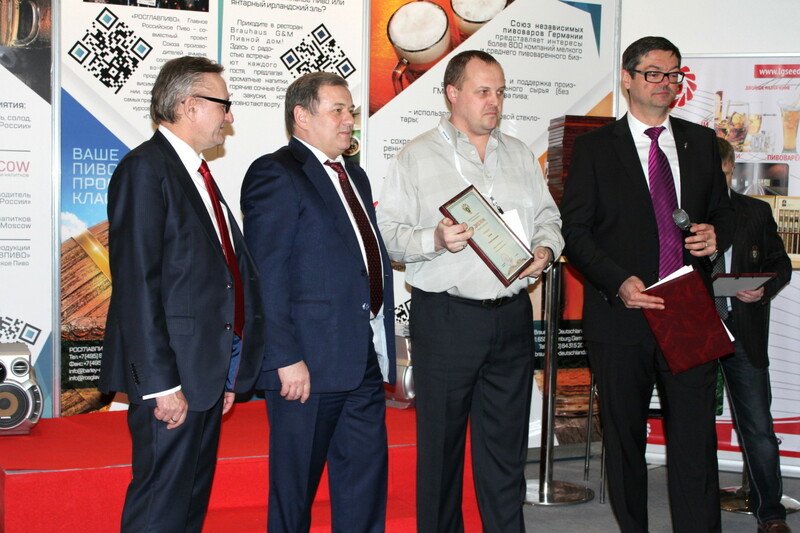 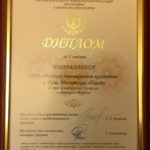 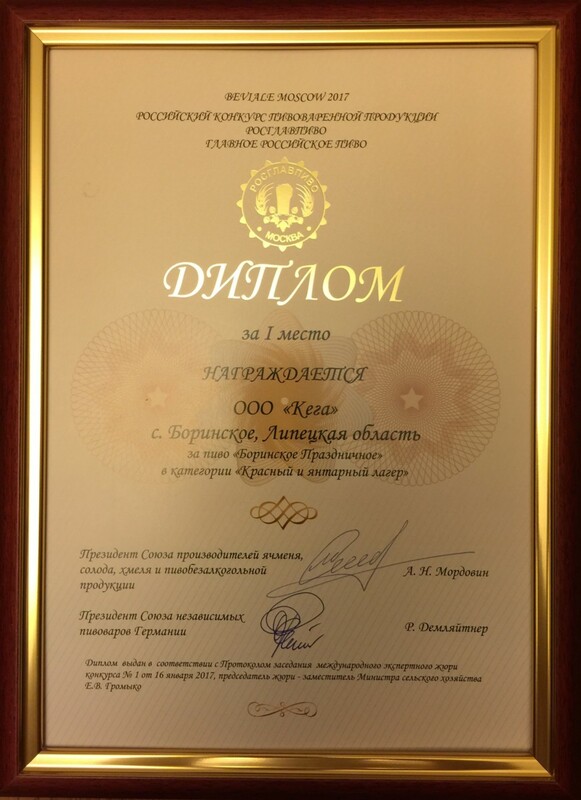 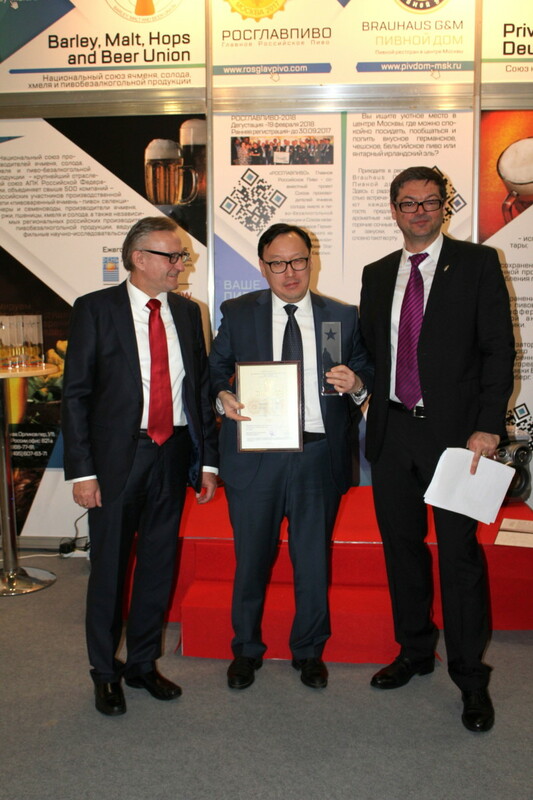 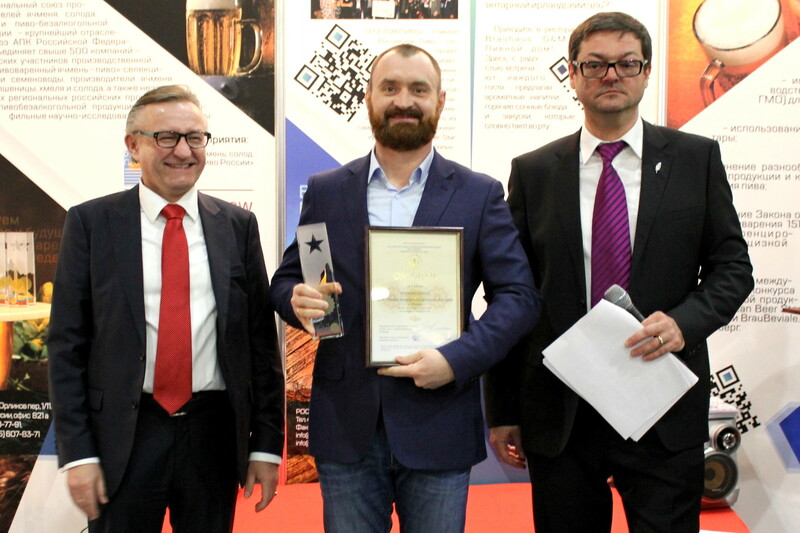 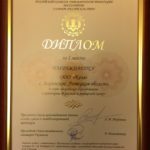 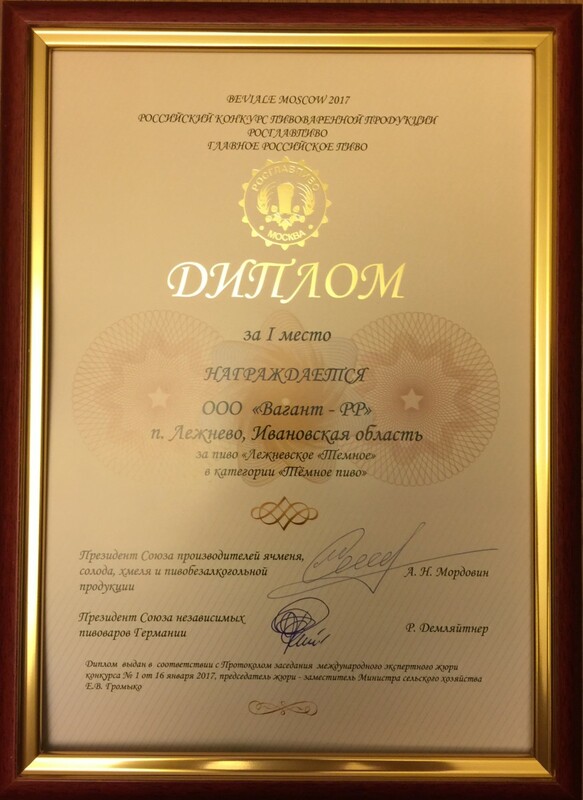 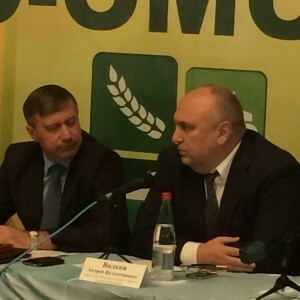 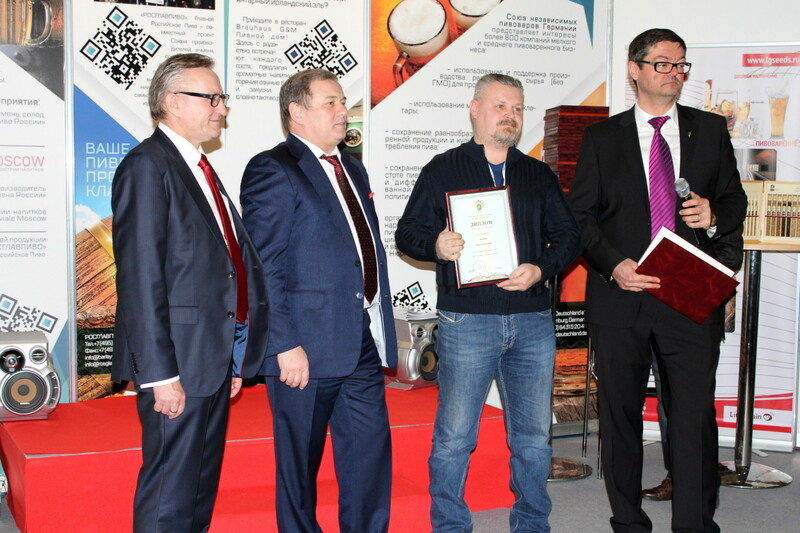 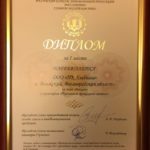 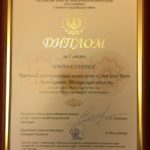 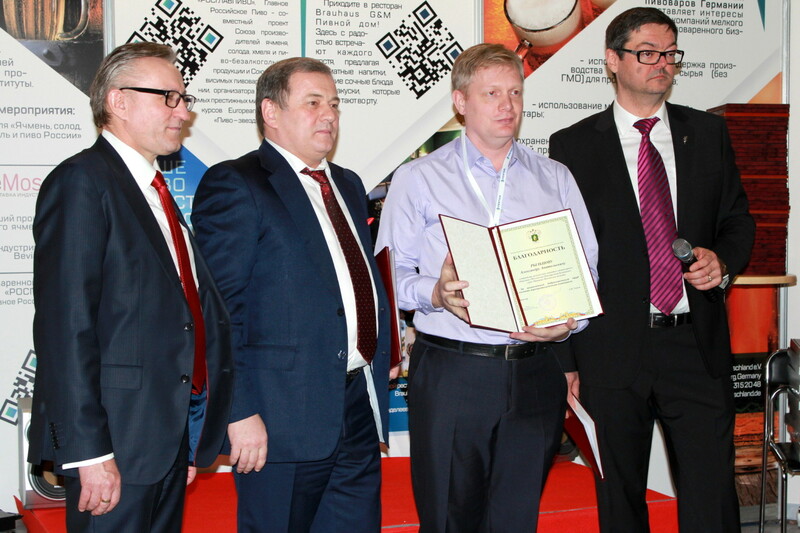 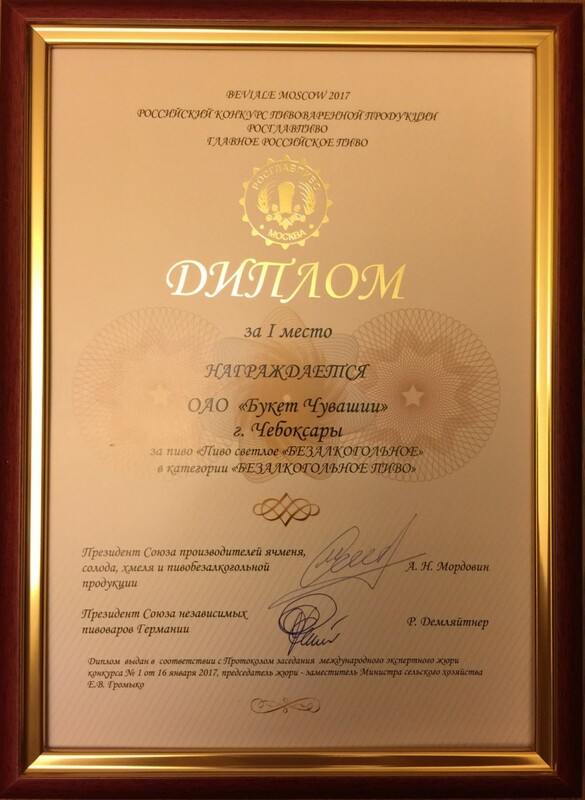 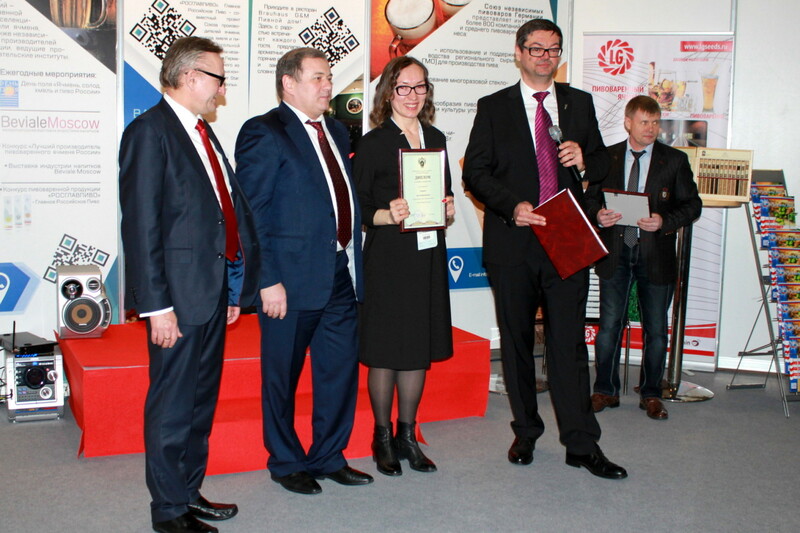 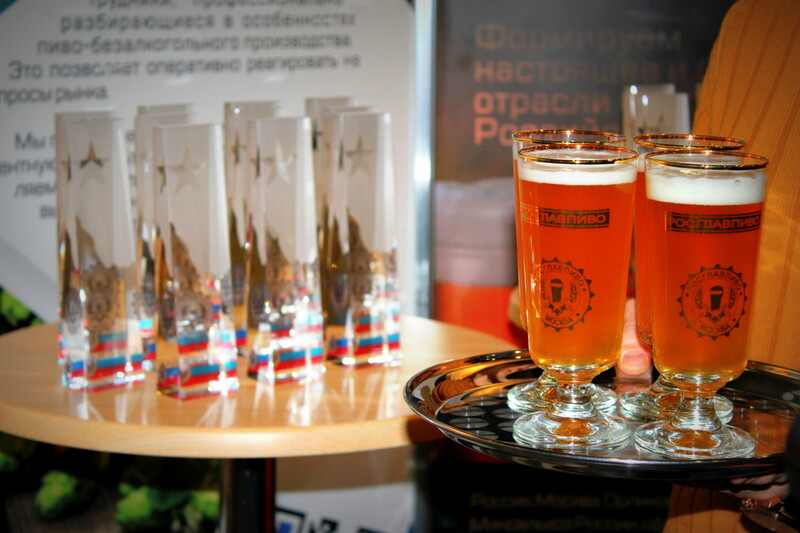 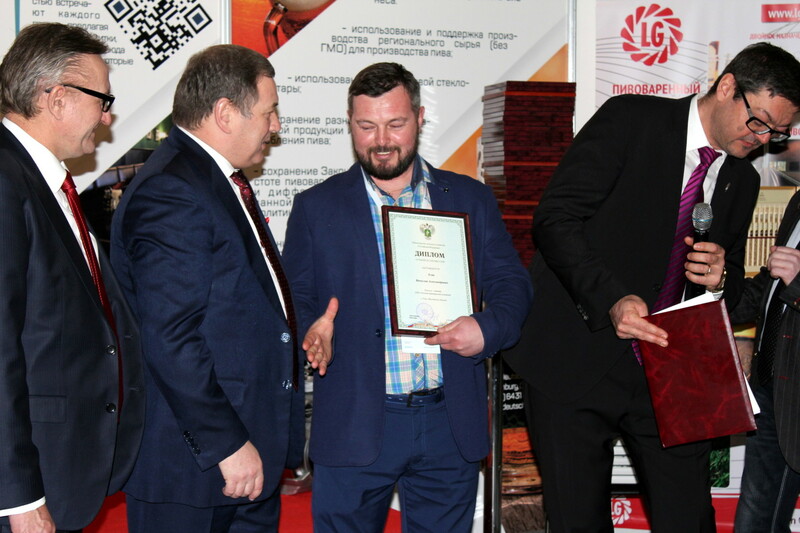 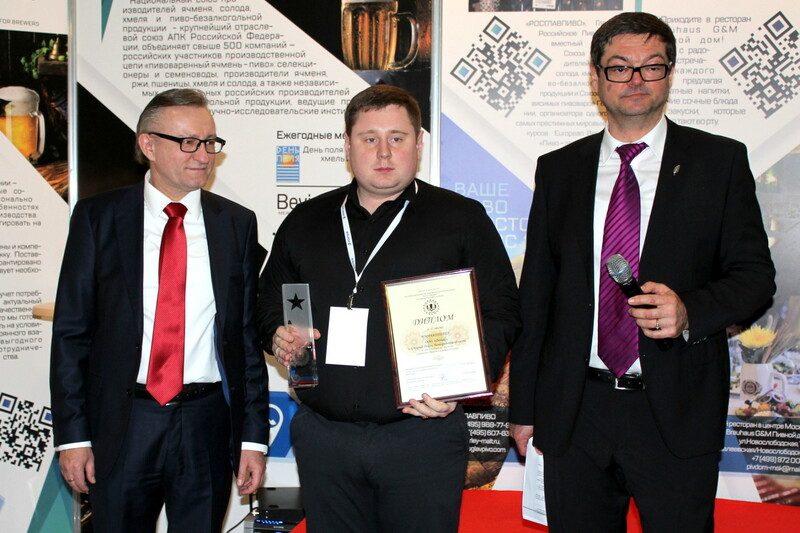 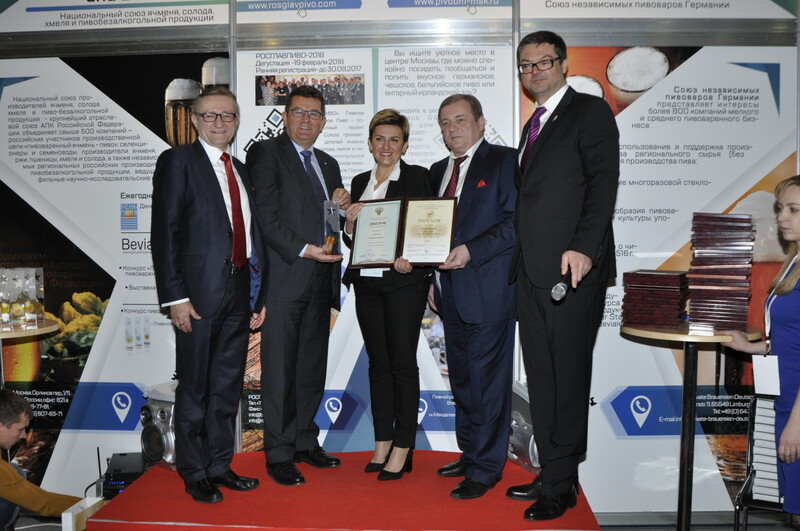 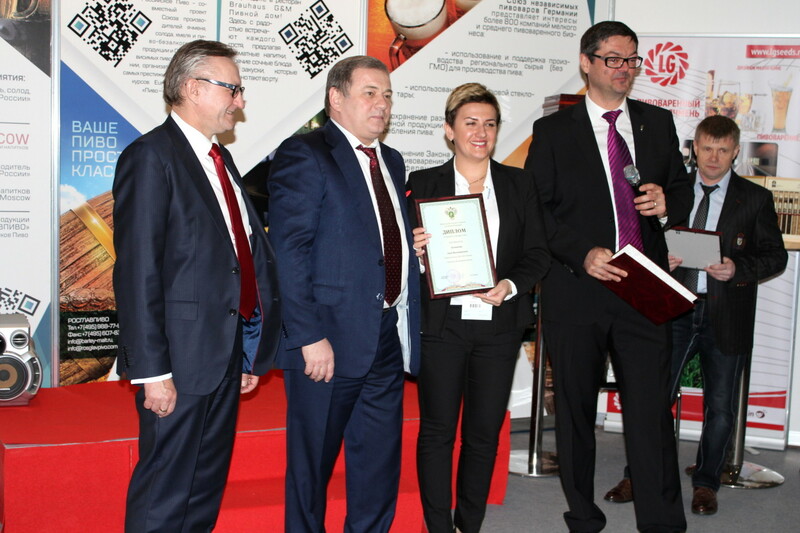 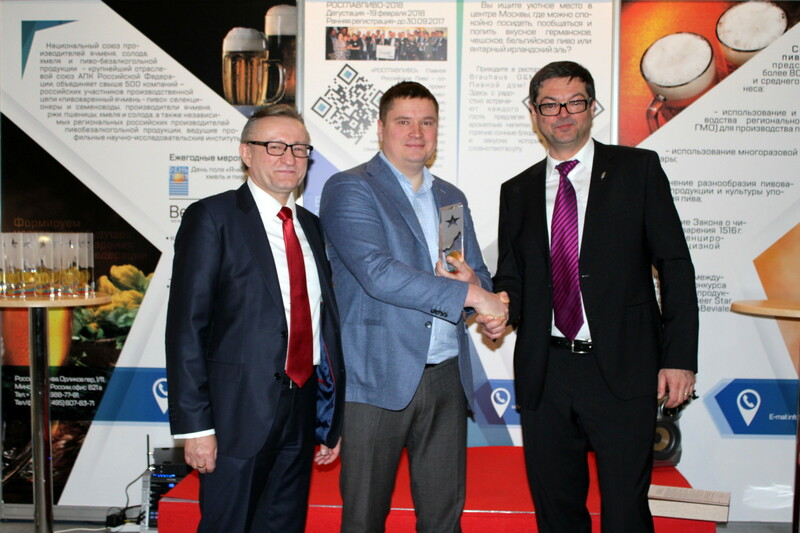 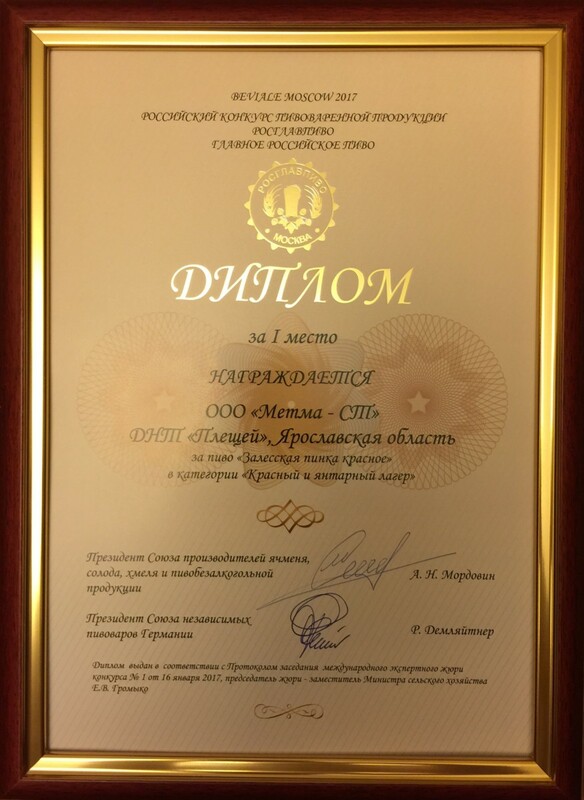 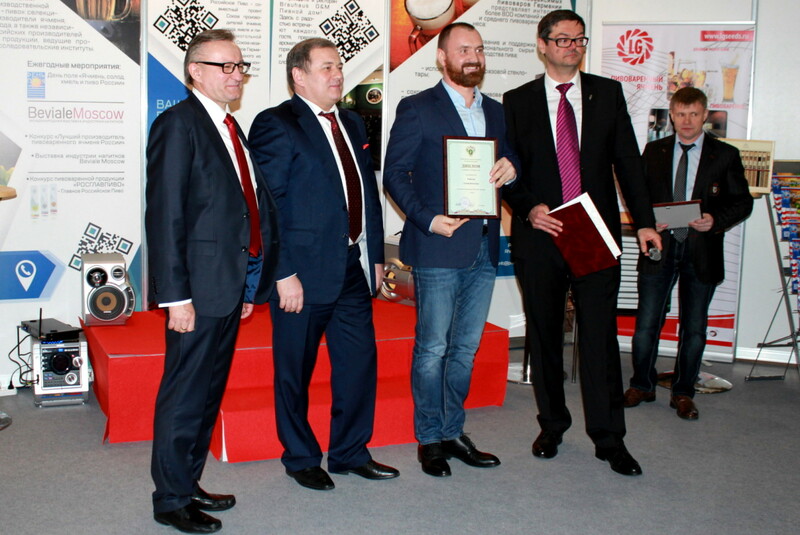 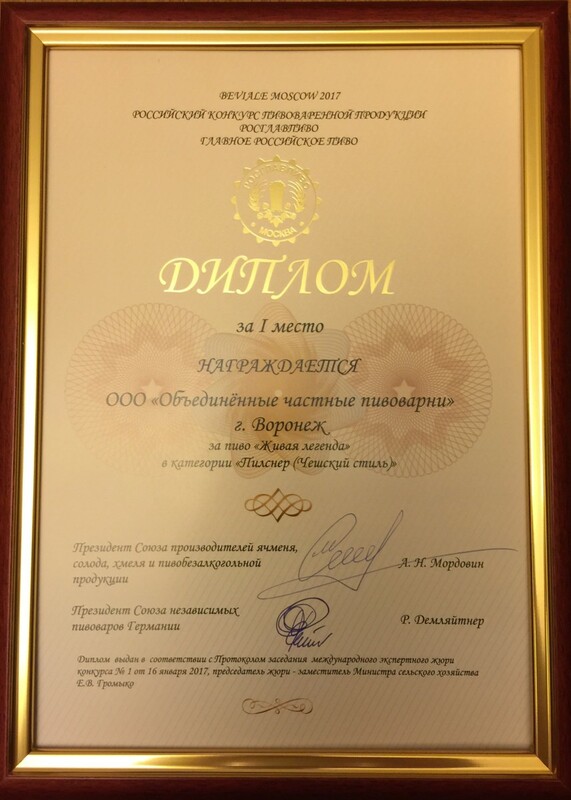 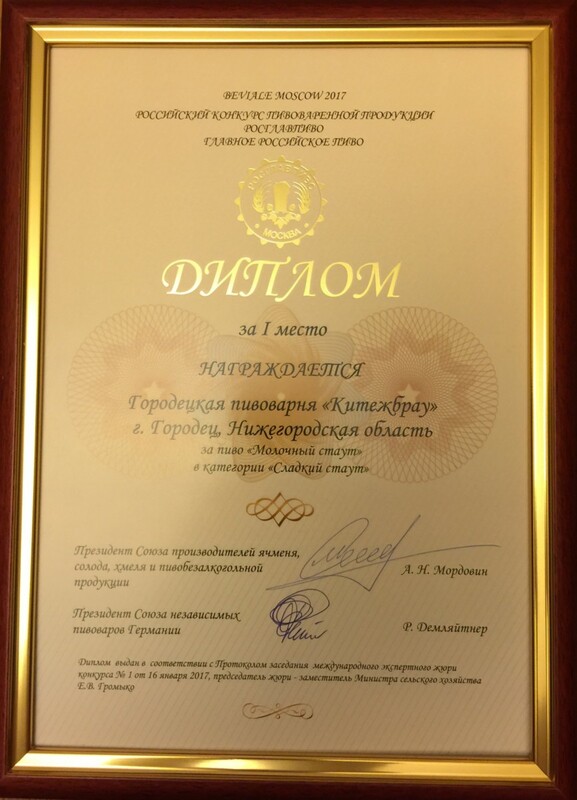 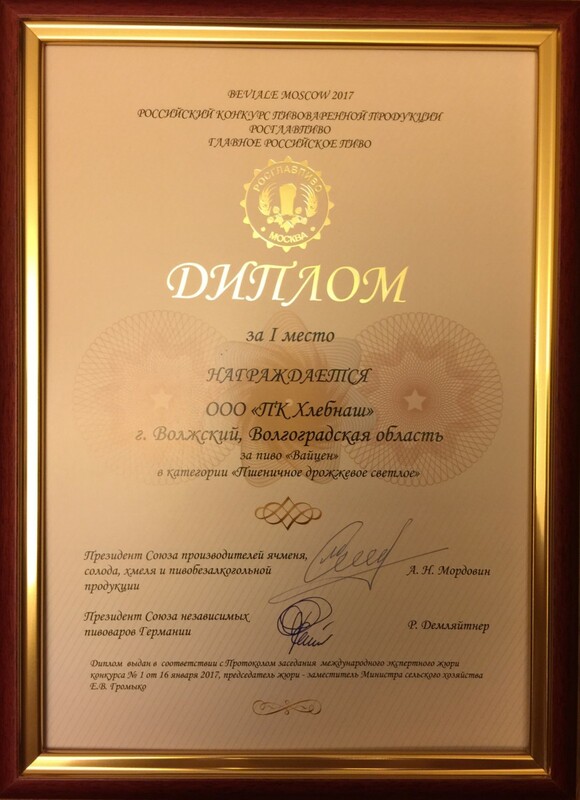 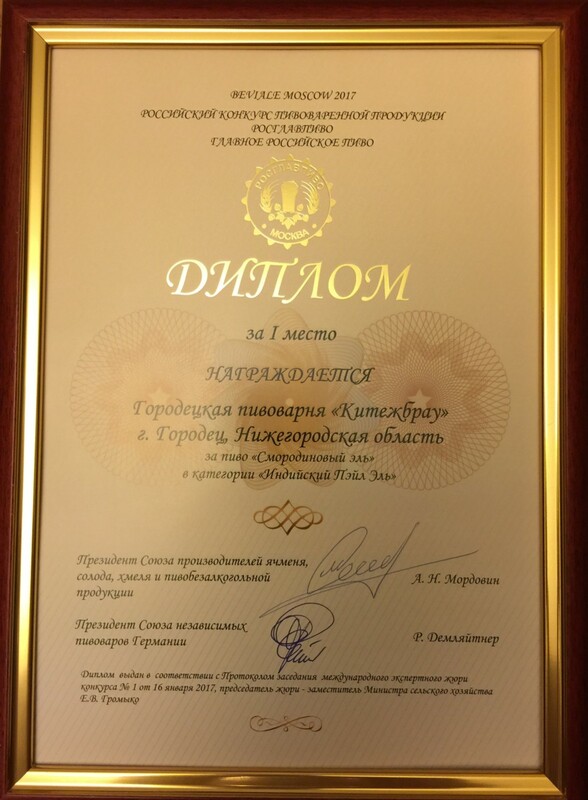 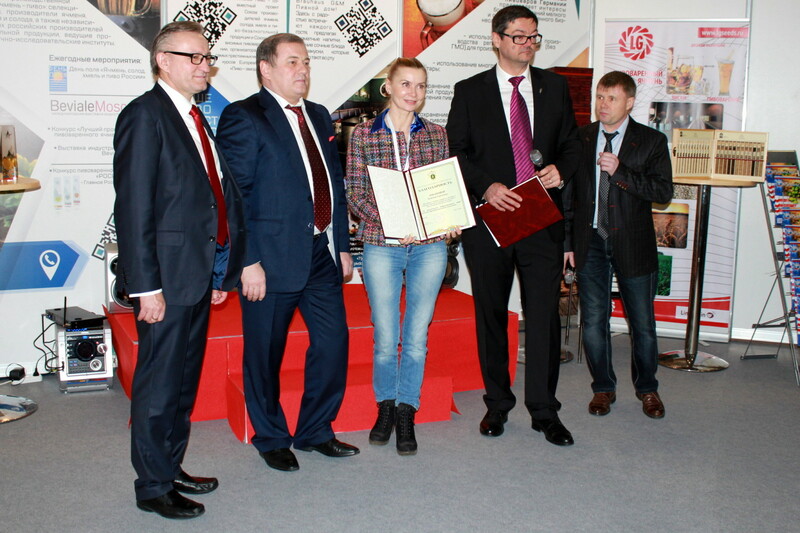 Certificates of the Ministry of Agriculture of the RF “The best by profession” were presented to the gold winners of the Russian brewing competition “ROSGLAVPIVO” – Russian brewers, technologists, technical directors and participants of the competition. 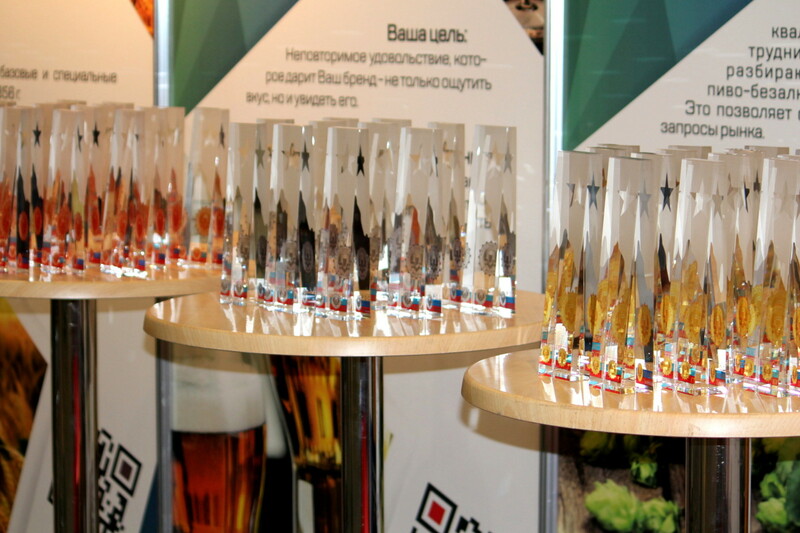 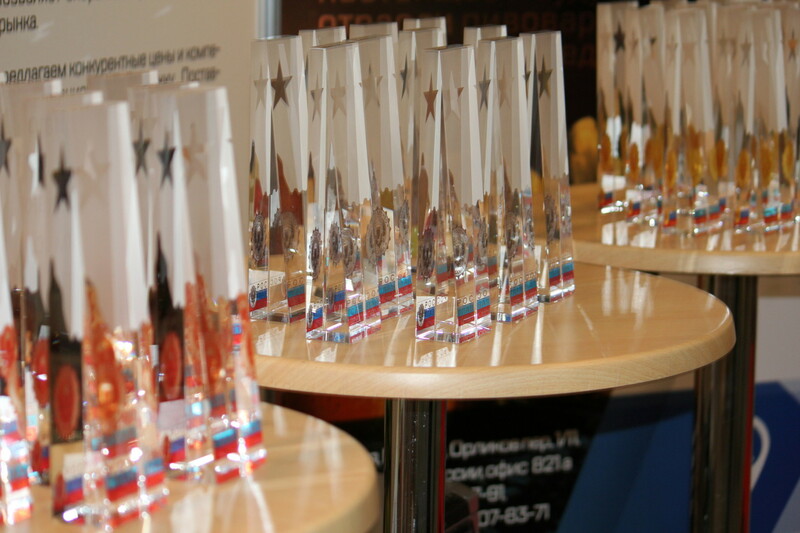 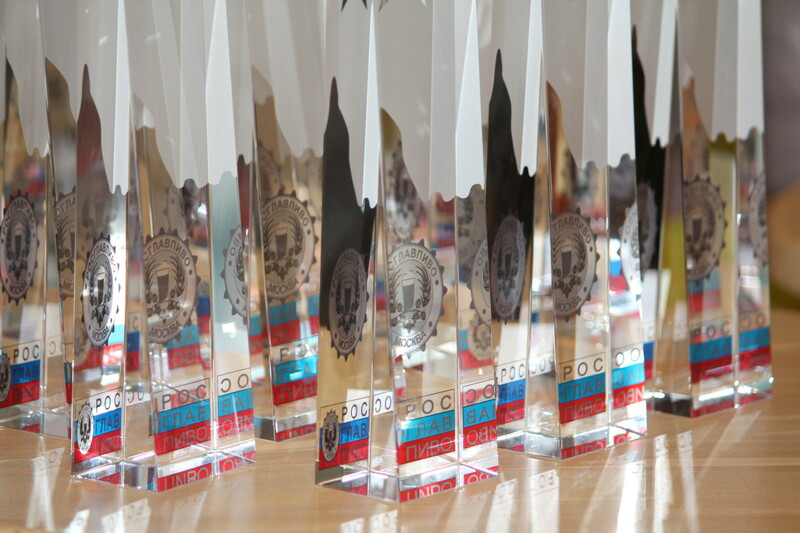 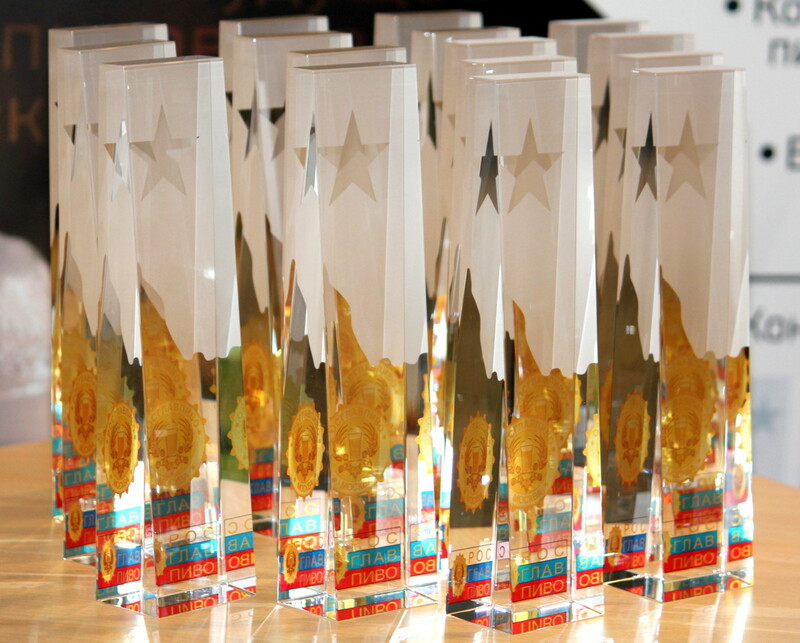 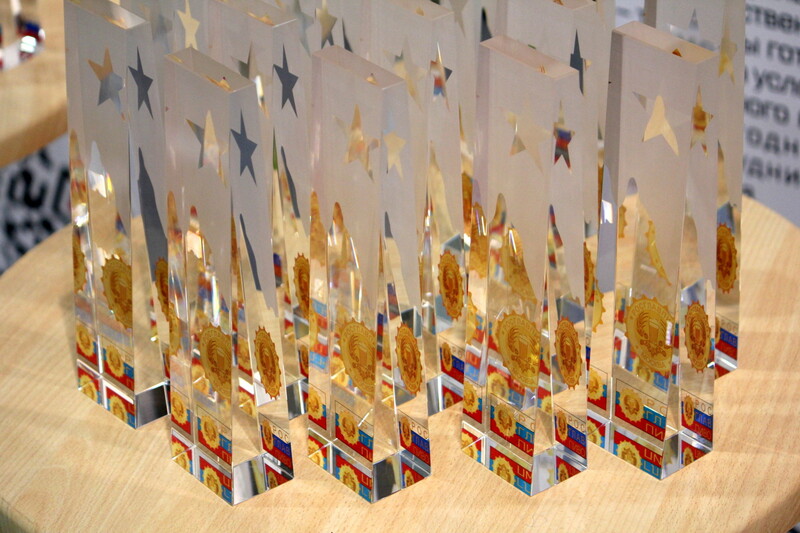 More detailed information concerning awarding of the winners of the competition “ROSGLAVPIVO”, a competition stage “Consumer’s choice” will be in our future releases. 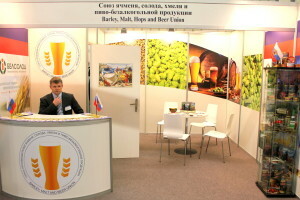 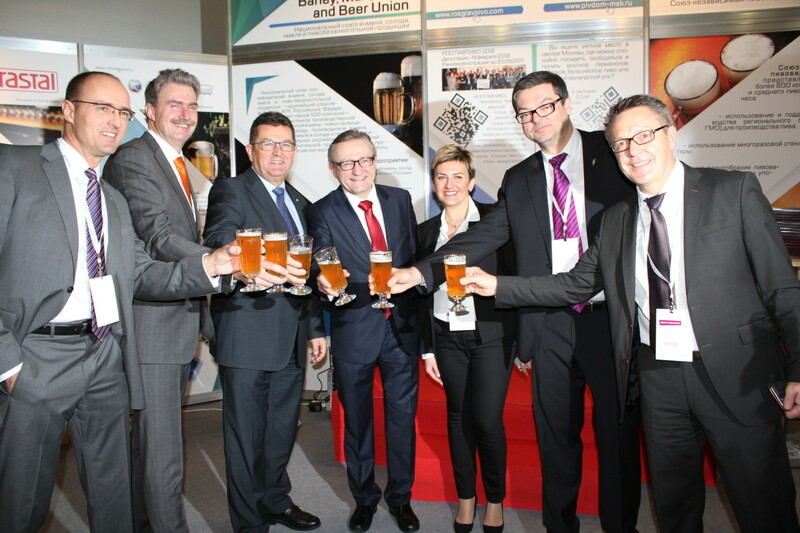 A joint stand of the partner Unions – Barley, Malt, Hops and Beer Union and Private Brauereien Deutschland became the central platform for communication of visitors. 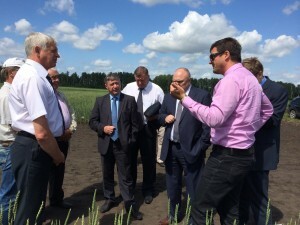 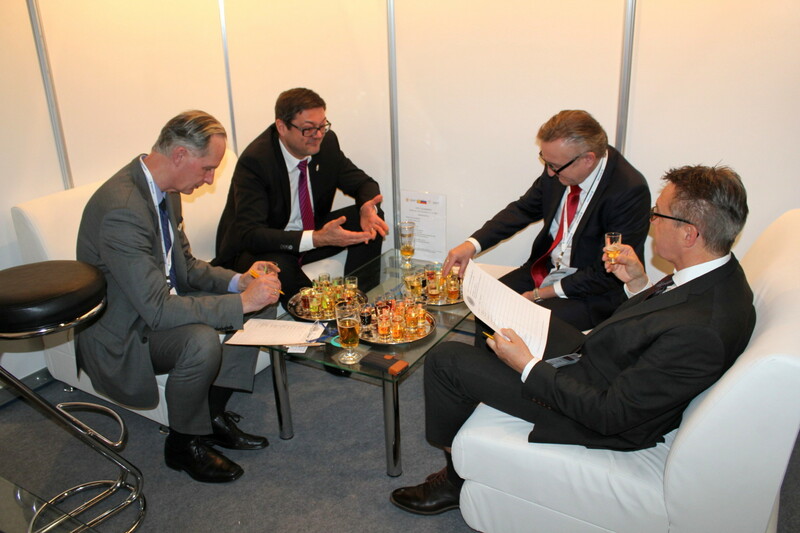 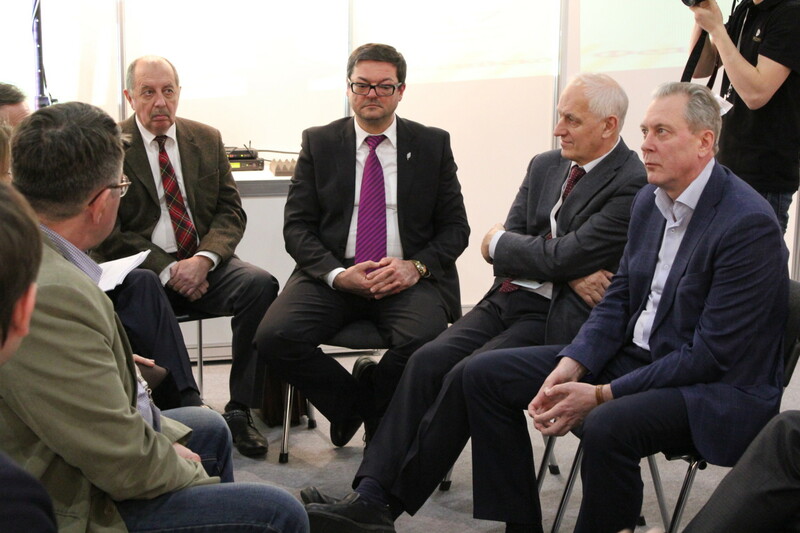 Over 500 visitors got a chance to discuss key topics and problems with colleagues and friends. 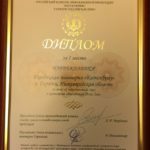 Есть чему поучиться, ну и позавидовать. Статуэтки круто и также уровень экспертов в конкурсе. 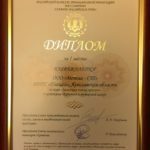 То-то в соцсетях страсти-МОРДасти по поводу конкурса и не только кипят. 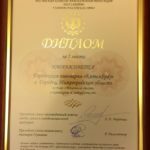 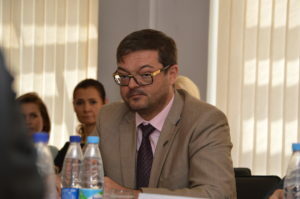 Такое ощущение стенка на стенку скоро пойдут). Можно не соглашаться во многих вопросах с руководством Союза, но в части организационных “талантов” равных им не видно. 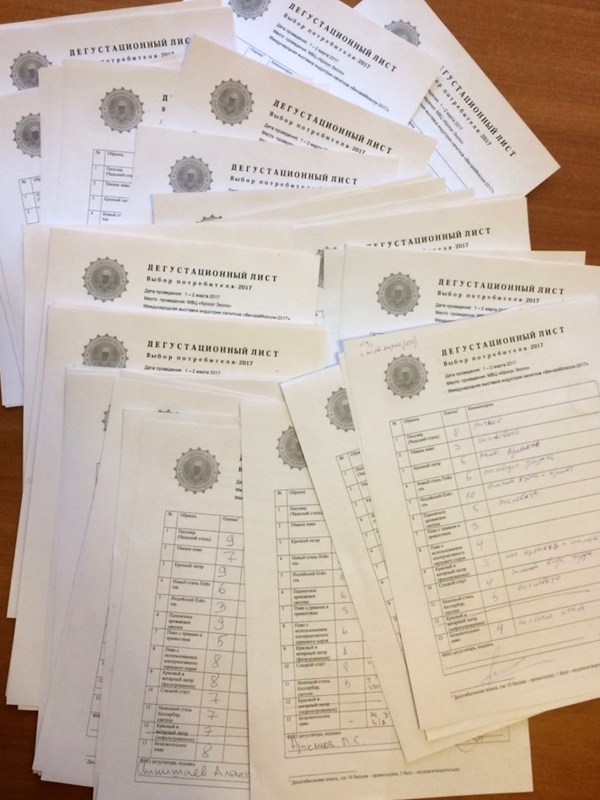 Заметно, что Союз неплохо владеет политическими инструментами и не удивлюсь, что в будущем на выставке Бевиаль мы увидим и Министров, и людей из Правительства, как российского, так и немецкого. 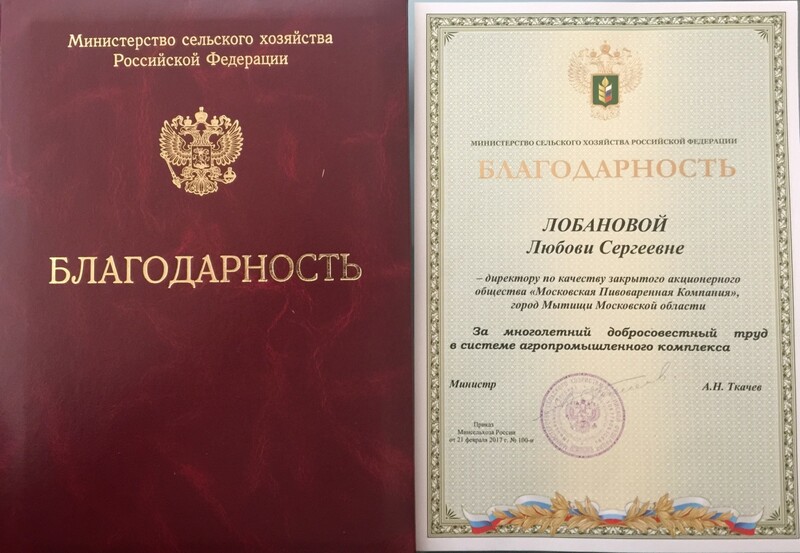 Всё к тому идёт.